Scotland's capital is in the frame to become the base for the UK Government's £3 billion GIB. Scotland’s capital is in the frame to become the base for the UK Government’s Green Investment Bank (GIB). Proposals have been put forward which make the separate cases to locate the headquarter in London, Edinburgh and Bristol, among other cities. A decision will be taken in due course based on the ability to deliver. A progress report outlining the phased approach leading up to the GIB was unveiled at Westminster today (Tuesday 24 May) by the Business Secretary Vince Cable. As the Chancellor set out in Budget 2011, the initial capitalisation of the GIB will be £3 billion and the bank will invest with and through the private sector and tackle risks which the private sector cannot adequately finance. The bank would mobilise projects significantly in excess of the Government’s contribution. With the funding provided in this Parliament, the GIB could mobilise an extra £15bn of private investment. The Secretary of State for Scotland Michael Moore said: “I have been making Edinburgh’s case within government as strongly and often as possible and I am convinced that the city’s strategic location and financial expertise make it an ideal place to locate the Bank. “Scotland’s capital has all the elements needed to create a successful and thriving Green Investment Bank - access to finance, markets and funding and the expertise of the renewables industry across Scotland. 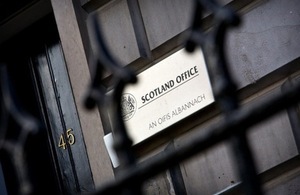 The Secretary of State for Scotland met Business Secretary Vince Cable in April to discuss the possibility of bringing the Green Investment Bank (GIB) to Scotland and has met other Cabinet ministers on the issue. An Edinburgh bid was launched earlier in the year when a cross-sector group presented the business case for the Scottish capital at an event in Westminster.